The shopfront is just as unpretentious, but step in and you will see an industrial chic bar counter with an open kitchen where the magic happens. Downstairs there is a long communal table (more photos in my Yahoo story). This is from their regular menu, and I'm thankful it's a permanent item. 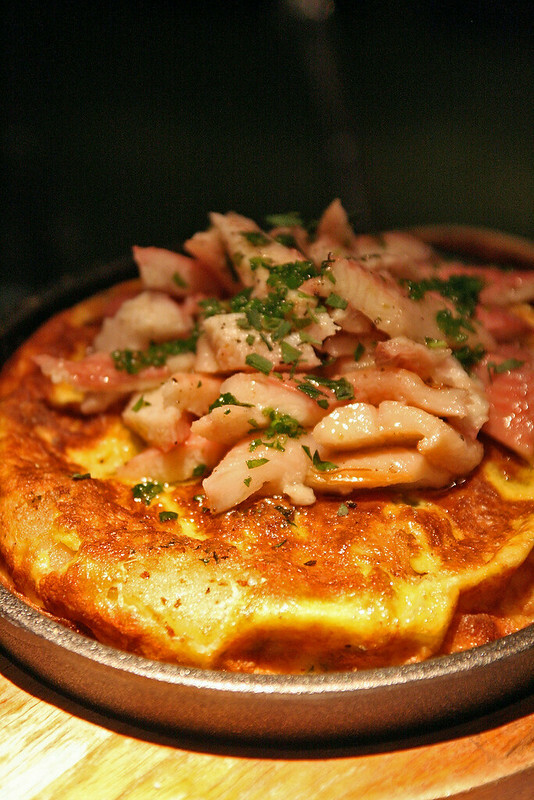 Inside this gorgeous omelette are Russet Burbank Idaho potatoes crisped in duck fat! 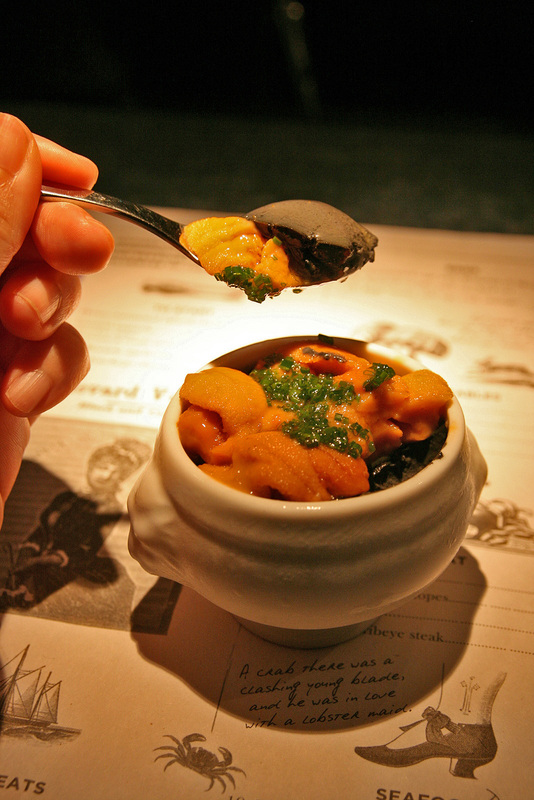 The smoked eel is not too overpowering; it lends a touch of seafood umami when you mix it all up. 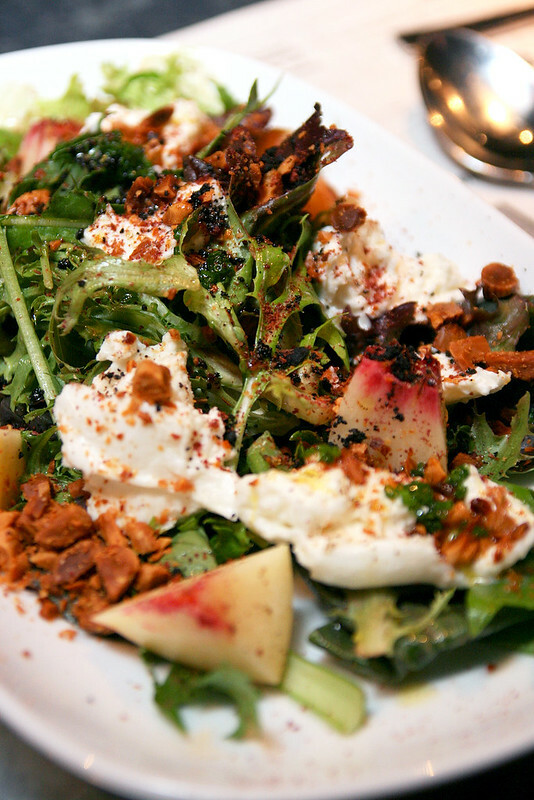 From the specials menu, we have this Mesclun salad adorned with the first springtime peaches from the USA. Some fresh buffalo mozzarella and toasted almonds for texture and taste. The peaches are so sweet and fragrant. 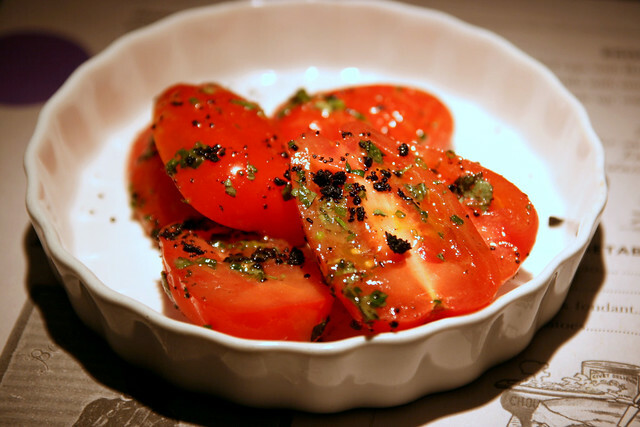 One salad on the regular menu, simply named Tomato Salad (S$14), will have you raving. These San Marzano tomatoes, dense and sweet, come still on the vine and are dressed in a simple way to let their natural flavours shine. This is a small sampling portion. 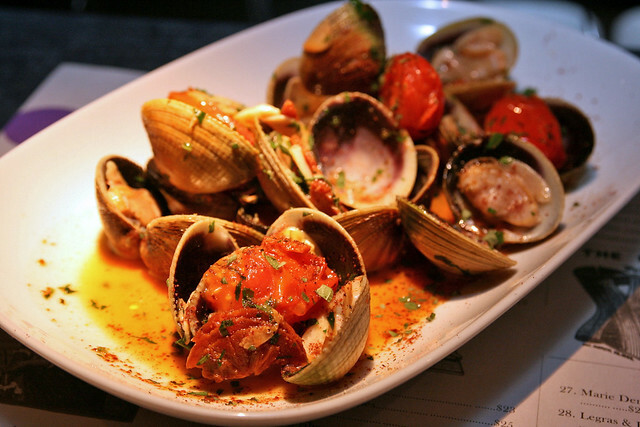 Littleneck clams from New Zealand, sauteed in butter, garlic, chorizo and white wine. How could that combination go wrong? But timing it so that the clams are not overcooked, is a real art and skill. These were tender and juicy, not rubbery. God, you'll want some bread to mop up that lovely sauce too. 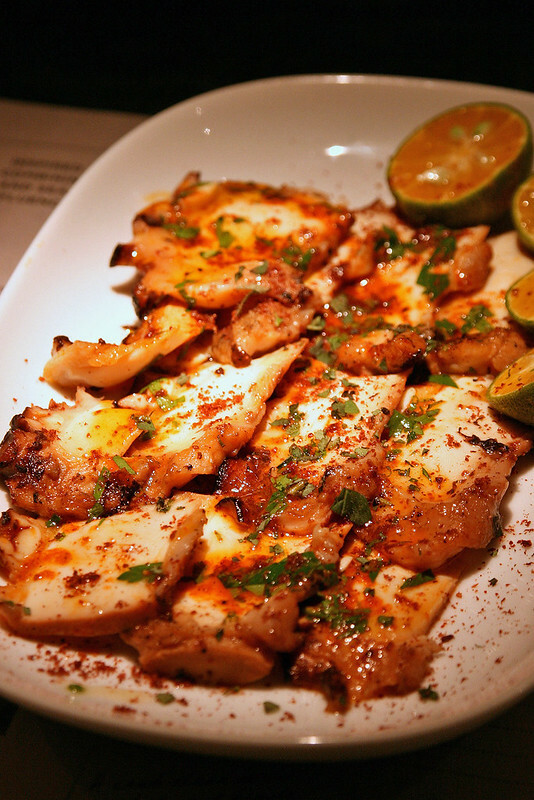 This is charcoal-grilled octopus with smoked paprika and butter. The octopus (from Spain, no less!) has been braised beforehand and left to cool in the braising sauce. 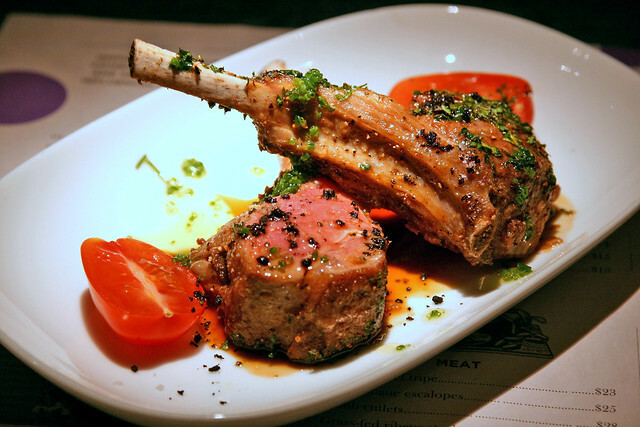 It's tender and has soaked up intense flavour. The paprika just heightens the smoky aspect of the char-grill. These were constantly flying out of kitchen - probably the most popular order that night. I had to take a photo, even if I had no room left to try them. 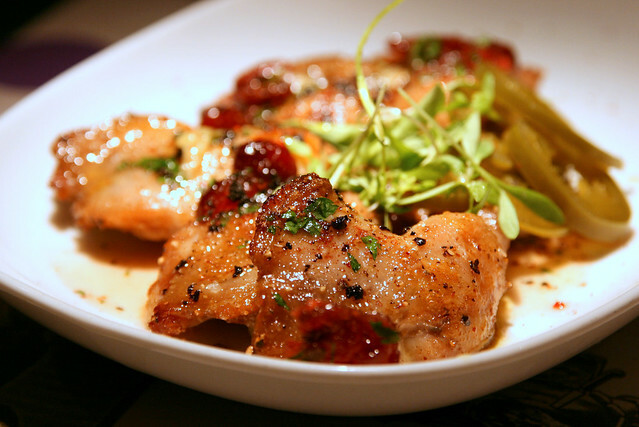 If you like sweet things, you might like these candied quail legs. They are cooked in butter and sugar, dressed with a light gremolata oil, and topped with cranberries, pickled jalapeno peppers and coriander greens. Certainly an interesting treatment, even though I'm not a fan of quail. This slab of grass-fed goodness comes from Cape Grim, Tasmania. It celebrates beefy flavour and meaty chew - oh, carnivores rejoice! 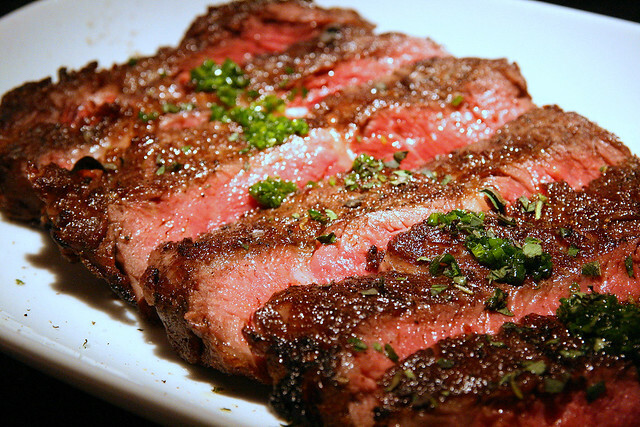 With meat this good, you really don't need much to season it - just salt and pepper. This is a really big portion. My kind of dessert! 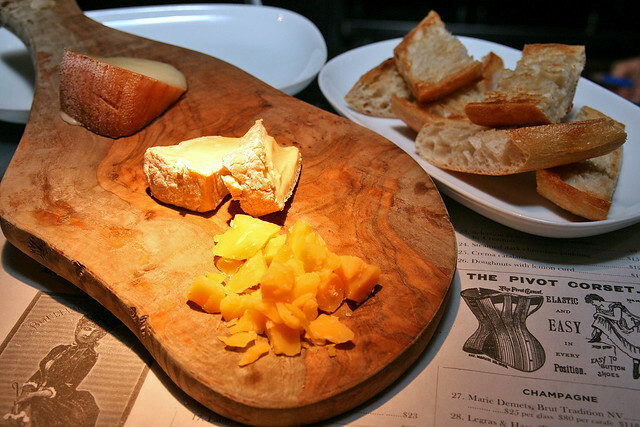 If you're not sure which cheeses to pick from the specials menu, they can do a platter of all three. And they are all exquisite in their own way. The Gouda is aged more than two years, resulting in fine little calcium salts that give it gritty crunch. It's aged in VSOP casks, hence its name (and flavour!). The Perl Wen (centre) or "White Pearl" has been described as "organic lovechild of a Caerphilly and a Brie" - cute! It is made with double cream, is a soft cheese with a lemony centre. Brie is normally too mild for me, but this is very much closer to Camembert - it sang to me. Oh yes. The Torta del Casar on top was served warmed up and soft. It's made from sheep's milk and has such a wondrous and almost wine-like bouquet. The acidity and amino acids in it make it rich, sour, nutty and even a little floral. It might be too ripe for some though. 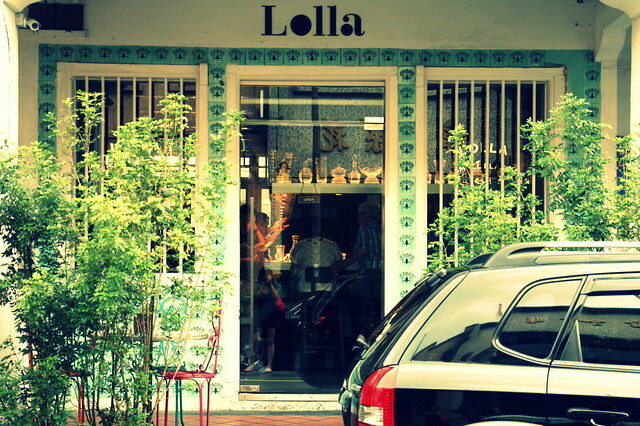 Lolla has a great wine list too, as the owners are huge wine aficionados. They have specially curated wines, champagnes, and even sake. 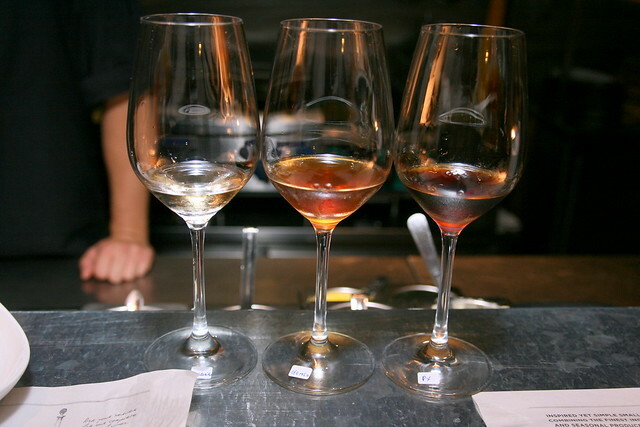 I tried three kinds of dessert wine. The PX (right) is beautifully rich and tastes like raisins. The Oloroso (centre) is medium-sweet, and a little nutty. Dessert? You have to try this. 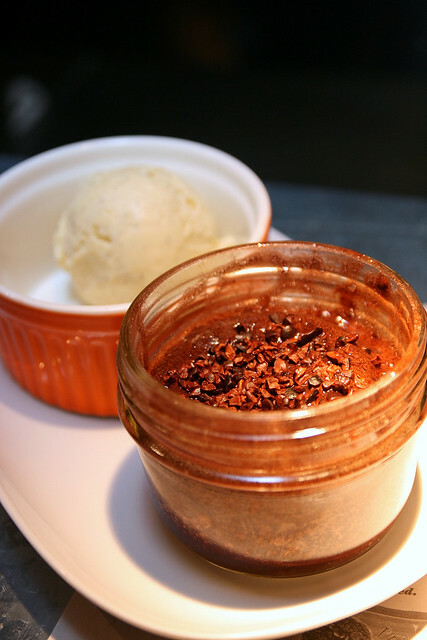 Dense, rich, soft, warm chocolate steamed pudding topped with cocoa nibs. Served warm with triple Tahitian vanilla ice cream that they specially commissioned. I like that all of it is not overly sweet. 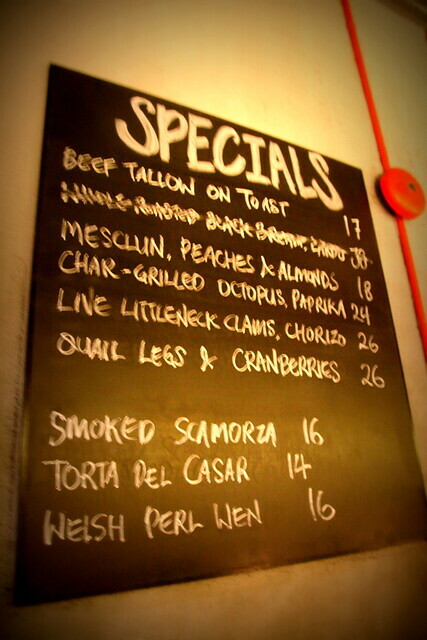 The specials are all written on a blackboard menu (upstairs) and on the glass mirror (downstairs). The dishes can vary every 3-4 days, depending on the produce they get. Sometimes something gets sold out fast, but luckily some dishes can be in for a few months when in season. Open Mondays to Saturdays for lunch (noon to 2pm) and dinner (6pm to midnight). Diners can reserve either the main floor or the basement for lunch. Dinner reservations – only for the basement. Can't believe I have not visited this place. Really must tick this place off my list.